Posted in Accidents by Mikhail Voytenko on May 14, 2018 at 14:38. 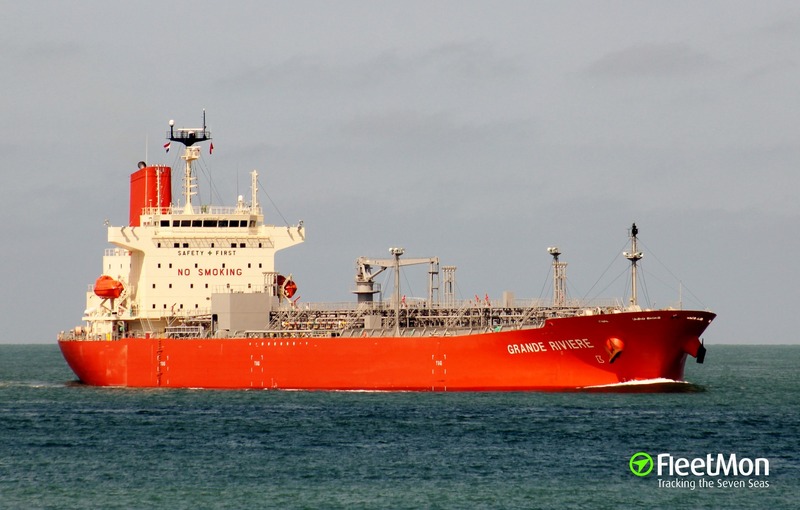 Fire erupted on board of reportedly, Japanese chemical tanker GRANDE RIVIERE on May 13, when the ship was under way, or already anchored, in front of Porto Petroli, Genoa, Italy. Onlookers who saw black fumes billowing over tanker called the emergency services, firefighters were sent, but by the time they board tanker fire was already extinguished by the crew. No other details are available, tanker was taken to port next day, on May 14, and berthed. IMRRA, FleetMon’s official Vessel Risk Rating Partner, risk assessed this vessel as having a ‘green’ risk rating, with a specific risk rating of 30% (09-MAR-18), compared to the fleet average 34.8%. New risk assessment reports can be purchased via FleetMon.